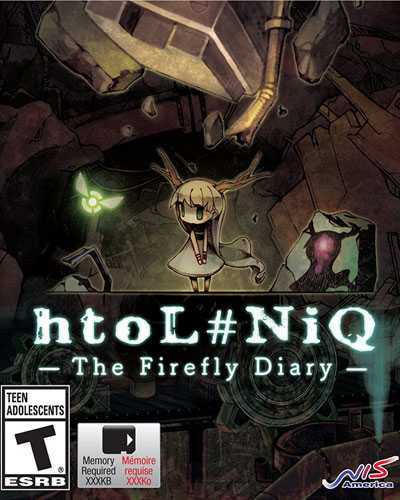 htoLNiQ The Firefly Diary is an Adventure, Strategy and Puzzle game for PC published by NIS America Inc in 2016. Play as a girl named Mion. When she wakes up, She remember nothing from the past. She’s in an unknown land which is full of dangerous things. Can you help her get of of troubles? The darkness have covered every inch of these lands. But you have to make changes by using your luminous powers. This young girl has two fireflies named Lumen and Umbra. Each one has lots of special abilities to find the right way on this dangerous adventure. This land includes some creatures such as monsters. You should never face them by yourself. Because there isn’t any chance to defeat them. It’s better to escape the monsters to continue the game. There are many traps on your way too. If you get into any of them, You have to retry that level from the last checkpoint. htoLNiQ The Firefly Diary has many challenging puzzles that need to be solved by you. Some of the puzzles are complex enough to take your time for more than some hours! You can improve your butterflies’ abilities by getting scores. If they become more powerful, You can finish the levels much faster. Remember that there will be harder puzzles in the higher levels. So, You really have to upgrade your skills and abilities. htoLNiQ The Firefly Diary got published for PlayStation Vita at first. When it got good reviews, The developers decided to make its PC version. 7 Comments ON " htoLNiQ The Firefly Diary Free Download "
The Long Dark on full version…..??? Yep, You can search it. I don’t understand how to make it work. It just opens steam for me. where do you get the password? not can be found there. It says that I need to open steam to play it.